Sitting at the base of Liberty Memorial on the outskirts of Downtown Kansas City is a place still used as a transportation hub of the midwest. Although its primary function may not be to ship eager passengers along the winding railroads of the nation, it still breathes life into the cultural heritage of Kansas City. There are events, exhibits and restaurants that still thrive in this mammoth neo-classical building. I have been photographing Kansas City and its icons for about three years now, and I cannot believe I had not added this shot to my portfolio. I have fallen in love with exploring the light that exists between light of day and the darkness of night. The name used to define this astrological time is Civil Twilight. The thing that makes my photographs explore the contrast between the electric blue dwelling in the sky and the manmade sodium hallide lighting that washes the hardened paved surfaces that cover our urban landscape. I hope that you enjoy my interpretations of this hour that drives my passion for photography. So for those of you who don’t know about Canstruction, it is an annual friendly competition to help out Harvesters (a local food bank). The intent is to design something, and build it completely out of cans. This year my firm chose to design a Chuck Taylor shoe by Converse. The structure itself has somewhere around four thousand cans stacked and taped together. 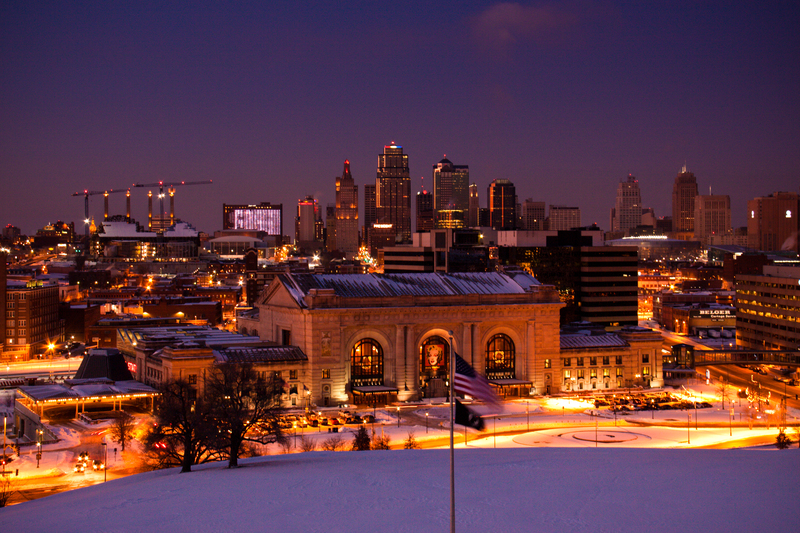 The event takes place at Union Station in Kansas City, and will be on display there unitl January 31st. This year Harvesters has designated a website for the people’s choice award. Anyone can vote for a $1 donation to Harvesters here: http://www.harvesters.org/Event/EventCalendar.asp?Event=Canstruction2010&StartDate=1/18/2010. If you have the money vote away, if not please just enjoy the creativity that helps feed the hungry. Though I have shot this memorial quite a few times, it always seems to draw me back. I always seem to find something new to explore, and I can never be quite satisfied with just a few shots. Since Kansas City has been a dumping ground for mother nature over the past couple of weeks, I thought it would be a good time to get out and capture a wintery landscape overlooking the skyline. I braved the near sub-zero temperatures for almost 2 hours, and enjoyed every second of it. 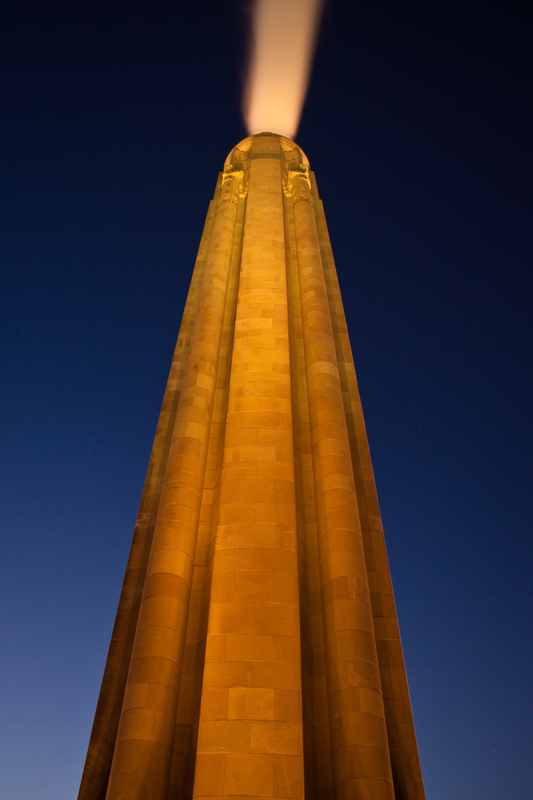 The memorial was built to honor those who served in World War I, and it houses a World War I museum below the monument. I was at home for the Thanksgiving holliday, and I had a brief moment to capture the twilight falling over the iconic Union Station building in Downtown Denver. Hope you enjoy it. Every year I have been in Kansas City, my girlfriend and I have gone to Union Station to watch the symphony. This year we were able to walk there, and there were over forty thousand people in attendance to watch Michael Stern and the Kansas City Symphony perform multiple American classics. 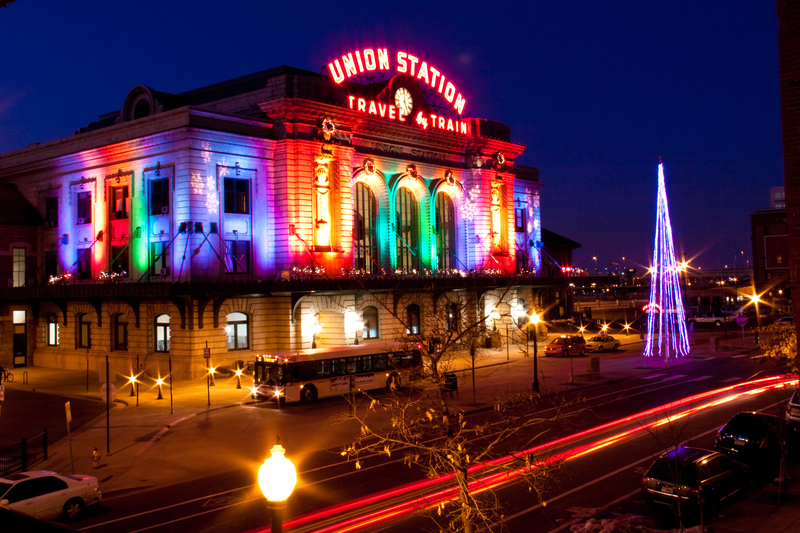 We sat on the first berm overlooking Pershing Road as Union Station was the backdrop to the nights events. There was also a band called Cherryholmes that performed alongside the symphony. This is the one time during the year that they light the facade of Union Station with multiple scenes that play into the musical performance. 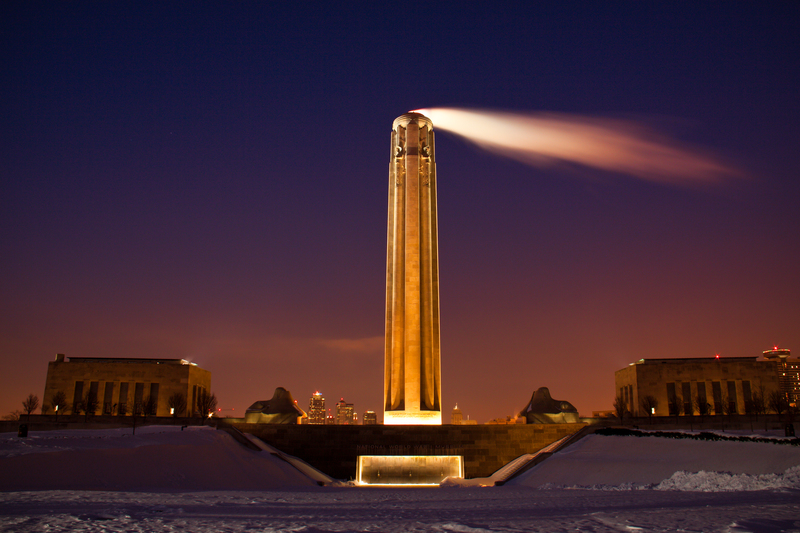 As they played the last song, they began to shoot off fireworks over the World War I Liberty Memorial. Its a great time every year and I am glad to see that so many people are able to celebrate this day of remembrance. The images above are just a few of my favorites of the night.